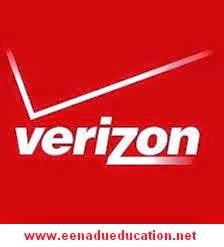 Verizon invites the applications for the following posts. Qualification: Bachelors in Engineering/ Masters in Engineering. Experience: QA Engineer with 3-6 year experience in platform testing. Qualification: BE/ B.Tech. or equivalent. 1. Engineer should have 1-2 years in the IT infrastructure customer support environment where he handled global customer’s calls, email and alerts. 2. Engineer should possess very good communication in terms of listening, oral and written. 3. Engineer should have hands on experience in monitoring (HPOV/ Sitescope/ etc) and ticketing tool (Remedy/ etc). 1. Should have minimum of 2-3 years hands-on experience on any one of above skill sets. 2. Good communication skills (Written and Oral). 3. Should be a very good team player. 4. Should be good in Vendor Co-ordination.